Levi thought he was making this journey alone. 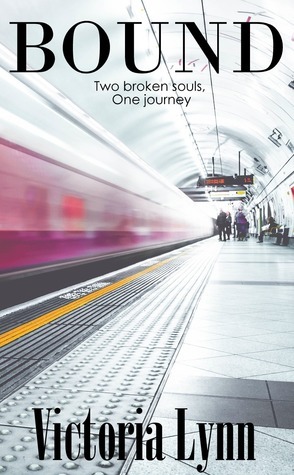 But when he meets an eight-year-old girl at the train station, that plan is turned on its head. Casey is running away and finds out that Levi is too. They decide to journey together and their lives are suddenly bound together in a journey they will not soon forget. Both children come from abusive situations and are running from the dangers of their previous life. Levi is confident he can handle this on his own, but when Casey is injured on the journey, he must seek help from the first person that comes into his path, or rather people. Mr. and Mrs. Bellworth are simple farm folk with a heart for kids and a passion for serving God. When their unconditional love and gentle care surrounds Levi and Casey, the troubles of their previous lives melt away and they start to flourish. But when Casey is dragged back into the abusive world she came from, the emotional trauma, pain and distrust resurfaces. Will they be forever bound by their past? Or will God answer their prayers? The Haven has enjoyed five years of peace after a brutal demonic assault. The land has flourished. People have moved on, reaping a treasure house of blessings and getting comfortable and complacent. Bren has been away for five years. Now she heads home with a Master’s degree in nursing, hoping to follow her grandmother’s passion as a midwife. Going home holds deep-rooted issues. She must face the death of her grandmother, her father’s involvement in demonic activity, and bitter disappointments. Going home also means seeing Joseph. Through brief visits, phone calls, and letters, Bren has fallen in love with Joseph. She is indebted to him for helping restore The Haven to its former glory, but she wants more. She wants her love reciprocated to the fullest. Going home might mean more hurt, more brokenness, but it also might mean love and passion, sharing a future with the man of her dreams. 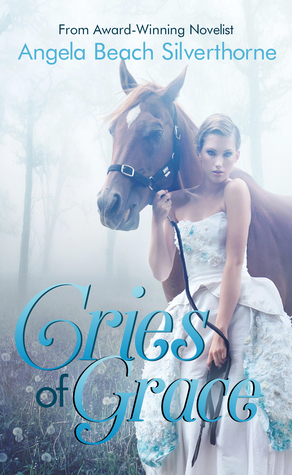 Cries of Grace weaves a beautiful tale of romance, redemption, faith, and trust, but in the background things are shifting—mistrust, deceit, and corruption begin to slip in and insidiously corrode hope. Fourteen-year-old Louise Stella flees into the forest to escape an intruder who would take her hostage. But by the time she returns to her house, her country has broken out in war and her home island has become a military base. 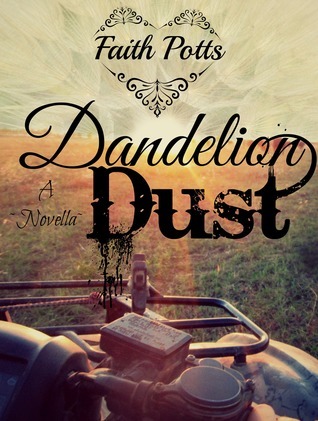 Sharing the land with enemy soldiers, Louise’s only goal is to stay alive one day at a time. Having no food or water, and little knowledge of how to survive in the forests of Quebec, her biggest adversary is “the Unknown”. Her pride crumbles and she realizes that she can’t sustain herself. She must depend on someone else… but Who? 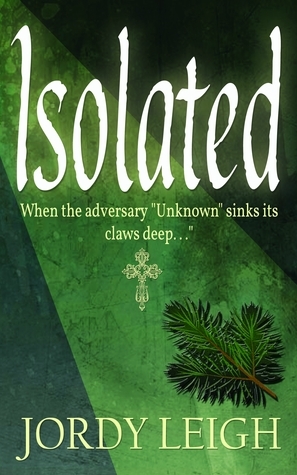 Isolated is a Young Adult suspense novella with uncertainty lurking at every turn. It will have you asking the big questions about life and death. Will you come to the same conclusion as Louise? Charity always had a dream. It was simple, really. Find a guy, fall in love, and get married. The day she met Ryder, Charity knew he was the man God had chosen for her. But she never expected their relationship to be tested and tried through the fires of a freak accident. Suddenly, her world is thrown into chaos, and the bleak, white walls and sterile smells of a city hospital fill every spare minute. And then there comes the dreaded news. It was likely Ryder would never make it out of the hospital bed. As her carefully laid plans for the future come crashing down around her and the sun seems to set on her dreams, can Charity still find hope in the dark of night? Some people can only dream of living out their fantasies. Cupcake shop owner Denie Shaw is the exception to the rule. This young, witty and charming woman seems to have a perfectly balanced life. Years of making bad relationship decisions had given Denie, owner of Icing, the opportunity not only to become a strong, successful business woman, but also managed to involve her three best friends in her crazy cupcake adventures. Denie’s sweet life gets turned upside down when she meets her crush, Tom Billingsly, right wing for the Cleveland Monsters hockey team. Together, Denie and Tom strike up a relationship that seems to have all the right ingredients. Will Denie allow the fear of heartache to guide her choice, or will she take the leap of faith and trust God to provide a solid recipe for her life? Today I’m interviewing Dawn Dagger, author of the novel My British Bear for her blog tour. I hope you enjoy the interview (and the included information about the book & tour). 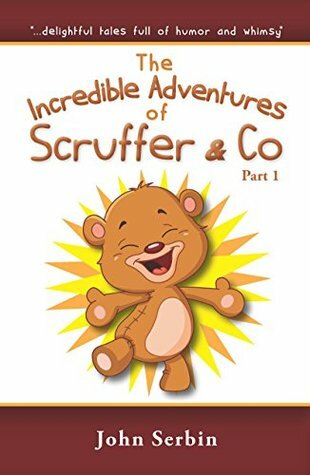 Title: The Incredible Adventures of Scruffer & Co.
A self-centered teddy bear becomes real and has to learn how to live in this new reality. He is soon joined by other teddy bears with differing personalities. Together, they embark on a series of comical adventures as only fun loving teddy bears can. If you enjoy the characters and humor of Calvin and Hobbs, The Far Side, and Peanuts, you will definitely fall in love with this comical company of teddy bears as they experience the world from their unique perspective. 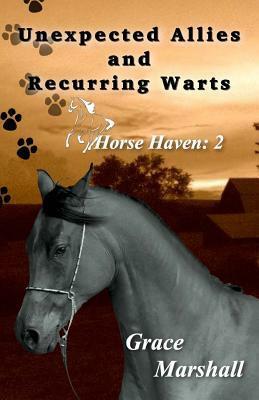 A spunky kitten on a daring rescue, a neglected mare full of love, and boys that recur like warts make teenager Ruth Deloach’s life far from boring. For every kind person that comes to the ranch there seems to be two warts. The attitudes and temperatures of southeast Missouri starkly contrast the suburbs of Milwaukee, Wisconsin, but Ruth doesn’t have time to adjust before her father holds an open house for their horse ranch, Meredith Meadows. Ruth’s overbearing older brother seems to just add dangerous sparks to her frustration as she tries to figure out who she has to be nice to and who she actually wants to be nice to. At first, the horse lessons on the ranch start making Ruth feel as if she is back in her comfort zone until she gets tossed by one of the horses. Sometimes the best way through life is to laugh through the tears, warts, and her own attempts to mow the grass in a straight line. 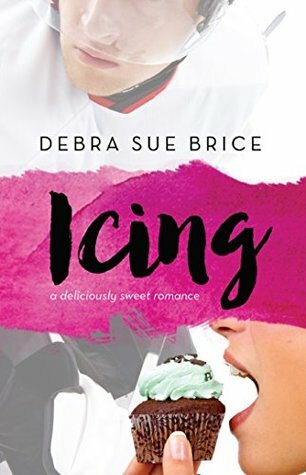 Today we have an interview with Debra Sue Brice, author of Icing and Crossing Boarders, Christian contemporary romances, and the Danni Girl Mysteries, cozy detective stories. Welcome to Reveries Reviews, Debra Sue Brice! First, could you tell us a little about yourself? I absolutely love to write, but when I am not writing I am a first grade teacher, competitive equestrian, and business owner. I also enjoy spending time in the kitchen trying new dessert recipes. Could you tell us a little about your latest novel, Icing? Icing was a very fun and exciting story for me to write. It is all about living out your dreams and trusting God to take control of your life. He has so many blessings in store for all of us which is why Icing is so important to me. I want to encourage everyone that there is a plan for our lives. We just have to be patient and listen. Where did you get your idea for Icing? All of my characters are derived from real-life friends and family members, myself included. I love to bake so my main character, Denie, is a cupcake shop owner. I want my audience to be able to relate to at least one character throughout the storyline. I want them to be able to connect and feel like they are a part of the story. I am also a huge fan of our AHL hockey team, the Cleveland Monsters. Putting the two together and throwing in a little romance just seemed right! I’m all over the place when it comes to my process. For larger novels, like Icing, I like to have a rough (very rough) outline so I have a general direction as to where I want to go. For the most part though, the story always changes by the time I get to the end. When writing my cozy mysteries, I just start with my main characters and let the story take over. How long have you been writing for? Why did you start writing? My very first novel was published in 2015 but I have been writing stories for fun ever since I was a little girl. I would write notes to my sister from her favorite actors and leave them in her locker at school. I also loved to write stories about adventures because so many ideas were always running around inside my head and I needed to let them out. My ultimate dream when I was little was to see my name on the front cover of a book. I have been very blessed to have a very encouraging family who continually tells me to never give up on my dreams. Do you snack while writing? Do you listen to music? I definitely listen to music, but it all depends on the type of novel I am writing. For Icing, I liked listening to my Etta James station on Pandora. As for snacking, I usually like to take breaks from writing to bake. But I will say, animal crackers (the vanilla kind) always seem to help with any mental blocks! If you could go back a year and tell yourself anything (writing-related), what would that be? There are many things you can learn through experience. Not all my experiences have been that great, but I am glad I was able to see the ups and downs of turning a manuscript into a final product. My advice to myself would be not to settle for the first person/publisher who is willing to take your book. Do your research and make sure you are putting your manuscript into the right hands to help you succeed. I want to inspire the world with more romance novels, both for adults and young adults as well. My main goal is to complete a dystopian YA novel. Thanks for coming over to Reveries, Debra! Horses, cupcakes, hockey, and murder. What can be better than that? In order to share my love of all these things I thought it would be best to write them down and put them in the form of a novel…or two, or more! When not living in my fictional world, I am a first grade teacher, avid baker, fanatic Cleveland Monster hockey fan, and successful equestrian. I was born and raised in Ohio which is where I continue to get inspiration and ideas for my stories. So stick around and enjoy the many journeys my characters will take you on in the wonderful world of READING! What did you think of the interview? Are you ready to pick up a copy of Icing on Amazon? What about Crossing Borders or a Danni Girl Mystery? Ever read anything by the author? Are you a fan of hockey or cupcakes? Let me know in the comments!